Be the first to share your favorite memory, photo or story of Ronald Lee. This memorial page is dedicated for family, friends and future generations to celebrate the life of their loved one. Ronald Lee “Ron” Kelsey, age 47, of Boardwalk Street, Morehead, passed away Monday, March 18, 2019. Born September 5, 1971, in Morehead, Ron is the son of Joyce Ann Kelsey Kidd of Morehead and the late Henry Lee Kelsey. In addition to his father, he was preceded in death his grandparents, Lonnie Lewis Kidd and Bruce Hunt. Besides his mother, he is survived by his wife, Edna M. Kelsey, whom he married November 4, 2017; one daughter, Ashley Nicole Kelsey of Dayton, Ohio; three step children, Dakota Allen, Davana Allen and Jenna Staton; one brother, Michael Kent Kelsey; and grandmother, Marian Hunt, all of Morehead. 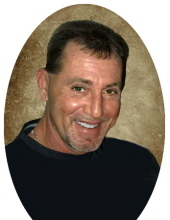 Ron was a professional painter and former employee of Pack’s Inc. He loved the outdoors, taking care of his yard, swimming, listening to music, watching NASCAR, and living life to the fullest. Ron will be greatly missed. A memorial service will be held 3 p.m. Friday, March 22, 2019, at Northcutt & Son Home for Funerals Memorial Chapel with the Rev. Jeff Fannin officiating. Visitation will be 1 p.m. to 3 p.m. Friday, March 22, 2019, at Northcutt & Son Home for Funerals in Morehead. To send flowers or a remembrance gift to the family of Ronald Lee "Ron" Kelsey, please visit our Tribute Store. "Email Address" would like to share the life celebration of Ronald Lee "Ron" Kelsey. Click on the "link" to go to share a favorite memory or leave a condolence message for the family.